In the past few days we have relived the death of Jesus and his resurrection from the dead. Now He speaks to all of us for whom He died…that means all of us. Who will acknowledge the knock of the Visitor, hear that gentle voice and respond to the invitation to dine with the One whose love for us knew no bounds. I was ten years old when that gentle tap came to the door of my heart. I often wonder what my life would be like if I had not invited Him in. How about you? 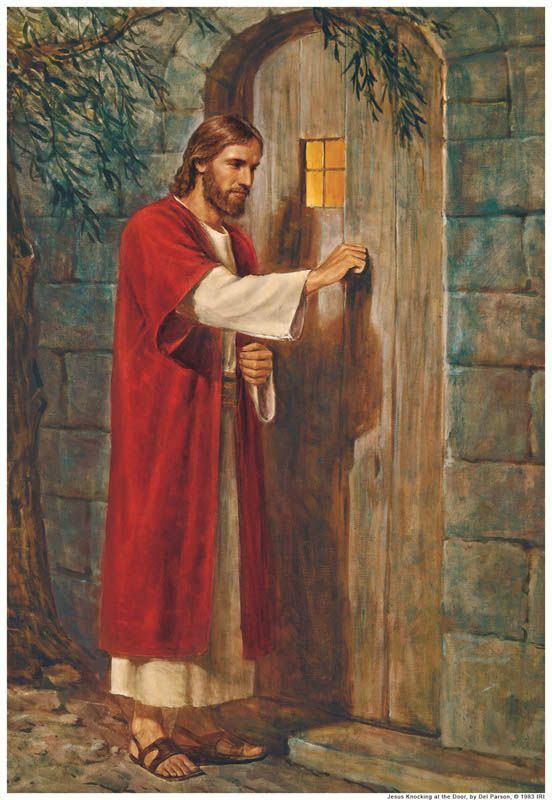 Is it time for you to open the door to the Visitor? This entry was tagged Death, hearing, Jesus, life, love, opening and being open, scripture. Bookmark the permalink.